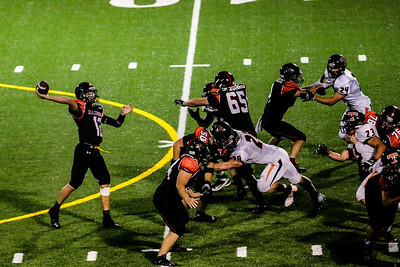 Lathan Goumas - lgoumas@shawmedia.com Central quarterback Kyle Lavand throws the ball during the first quarter of a game against Huntely at Huntley High School in Huntley, Ill. on Friday, Sept. 20, 2013. Central defeated Huntley 34-27. 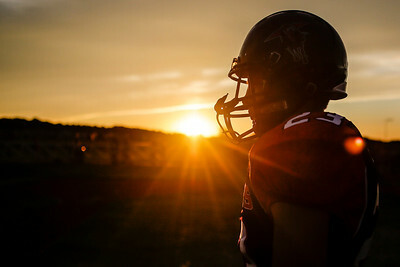 Lathan Goumas - lgoumas@shawmedia.com Connor Young of Huntley enters the field before a game against Crystal Lake Central at Huntley High School in Huntley, Ill. on Friday, Sept. 20, 2013. Central defeated Huntley 34-27. 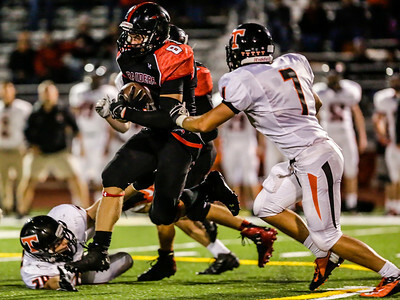 Lathan Goumas - lgoumas@shawmedia.com Central running back Ryan Williams runs the ball in for a touch down during the fourth quarter of a game against Huntley at Huntley High School in Huntley, Ill. on Friday, Sept. 20, 2013. Central defeated Huntley 34-27. 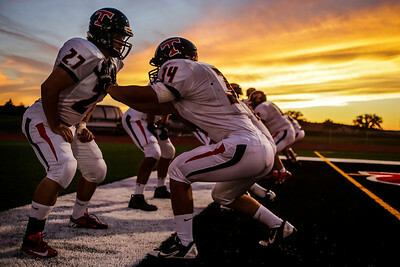 Lathan Goumas - lgoumas@shawmedia.com Michael Williams (#27) and Shawn Kyska (#34) warm up before a game against Huntley at Huntley High School in Huntley, Ill. on Friday, Sept. 20, 2013. 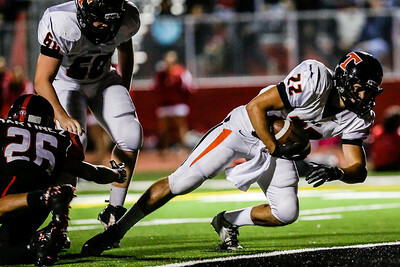 Central defeated Huntley 34-27. 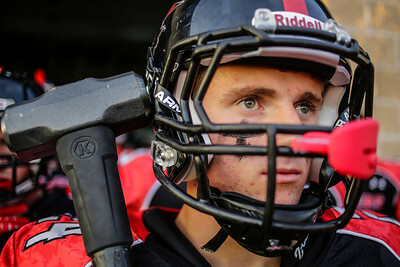 Lathan Goumas - lgoumas@shawmedia.com Brandon Altergott of Huntley holds a sledge hammer before a game against Crystal Lake Central at Huntley High School in Huntley, Ill. on Friday, Sept. 20, 2013. Central defeated Huntley 34-27. 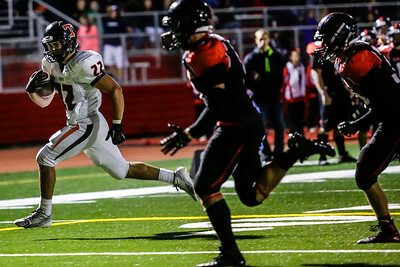 Lathan Goumas - lgoumas@shawmedia.com Mitchell Kawell of Huntley runs the ball during the second quarter of a game against Crystal Lake Central at Huntley High School in Huntley, Ill. on Friday, Sept. 20, 2013. Central defeated Huntley 34-27. 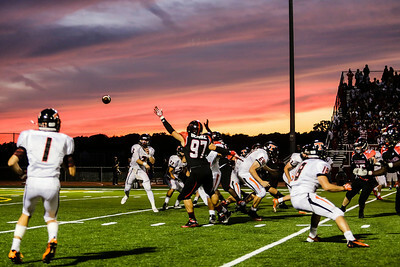 Lathan Goumas - lgoumas@shawmedia.com Josh Esikiel of Huntley catches a pass for a touchdown during the third quarter of a game against Crystal Lake Central at Huntley High School in Huntley, Ill. on Friday, Sept. 20, 2013. Central defeated Huntley 34-27. 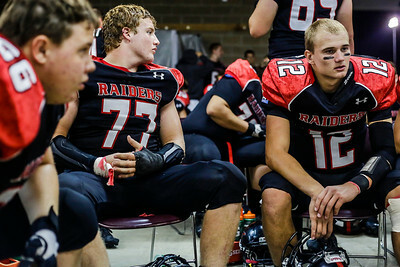 Lathan Goumas - lgoumas@shawmedia.com Huntley quarterback Blake Jacobs(#12) during halftime of a game against Crystal Lake Central at Huntley High School in Huntley, Ill. on Friday, Sept. 20, 2013. Central defeated Huntley 34-27. 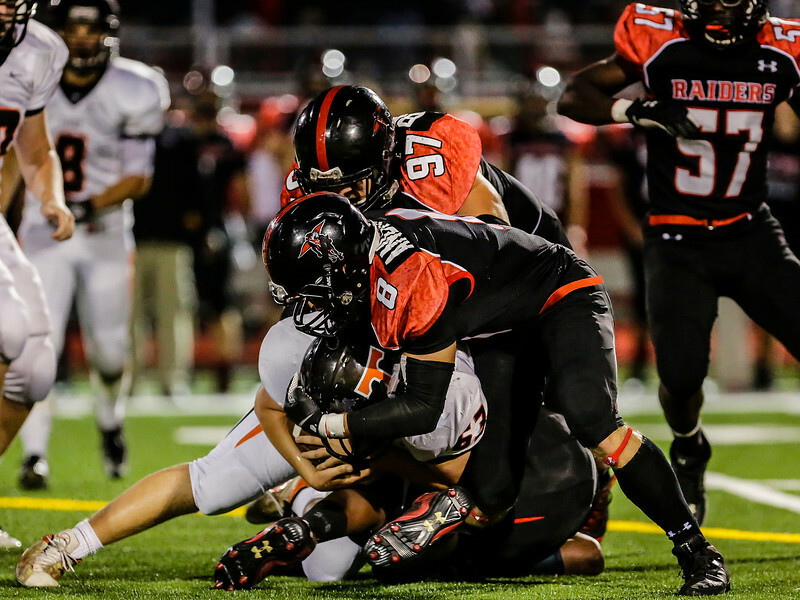 Lathan Goumas - lgoumas@shawmedia.com Mike Andrews of Huntley runs the ball during the fourth quarter of a game against Crystal Lake Central at Huntley High School in Huntley, Ill. on Friday, Sept. 20, 2013. Central defeated Huntley 34-27. 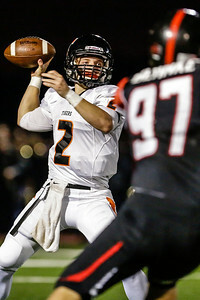 Lathan Goumas - lgoumas@shawmedia.com Huntley quarterback Blake Jacobs throws the ball during the third quarter of a game against Crystal Lake Central at Huntley High School in Huntley, Ill. on Friday, Sept. 20, 2013. Central defeated Huntley 34-27. 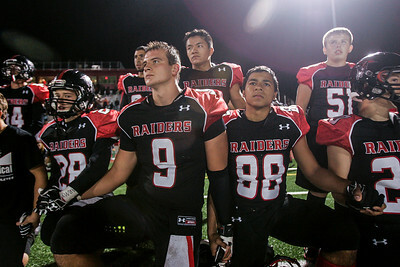 Lathan Goumas - lgoumas@shawmedia.com Members of the Huntley football team watch during the final play of the game against Crystal Lake Central at Huntley High School in Huntley, Ill. on Sunday, Oct. 20, 2013. Central defeated Huntley 34-27. Lathan Goumas - lgoumas@shawmedia.com Corey Kyarsgaard of Central is tackled by members of Huntley during the first quarter of a game at Huntley High School in Huntley, Ill. on Friday, Sept. 20, 2013. Central defeated Huntley 34-27. 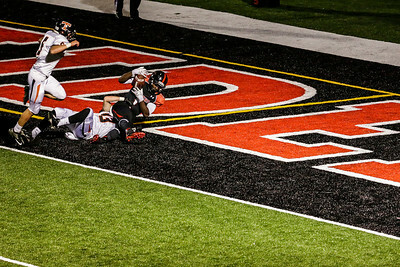 Lathan Goumas - lgoumas@shawmedia.com Central running back Ryan Williams dives the ball in for a touch down during the first quarter of a game against Huntley at Huntley High School in Huntley, Ill. on Friday, Sept. 20, 2013. Central defeated Huntley 34-27. 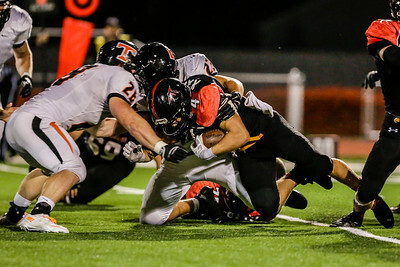 Corey Kyarsgaard of Central is tackled by members of Huntley during the first quarter of a game at Huntley High School in Huntley, Ill. on Friday, Sept. 20, 2013. Central defeated Huntley 34-27.